No man should ever be faced with the dilemma of choosing one meat-cooking style over another. Thankfully, the grilling gods have smiled upon us mere mortals and delivered onto us a solution. 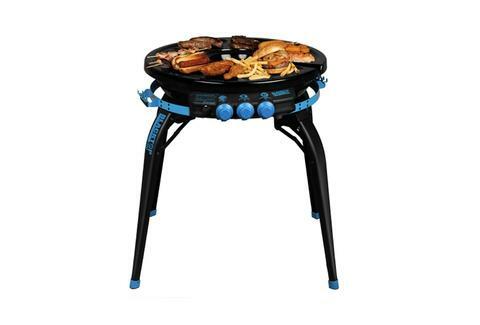 The Blacktop Party Hub 360 Grill-Fryer sports a deep fryer in the center of 452 square inches of cooking space, which includes an inferred grill, griddle, and a warming plate. 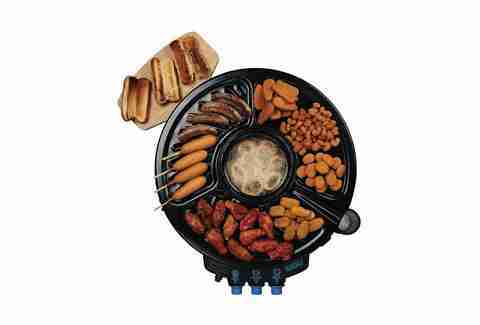 This allows you to grill a couple of steaks, deep fry a batch of chicken wings, and heat up some sausages all while keeping your buns warm. It will bring tears to your eyes.